with a USHPA-certified tandem pilot. and gain the knowledge and skills to fly most sites. a day of flying and get a special group rate. Mission Soaring LLC provides professional hang gliding sales, service, and instruction. 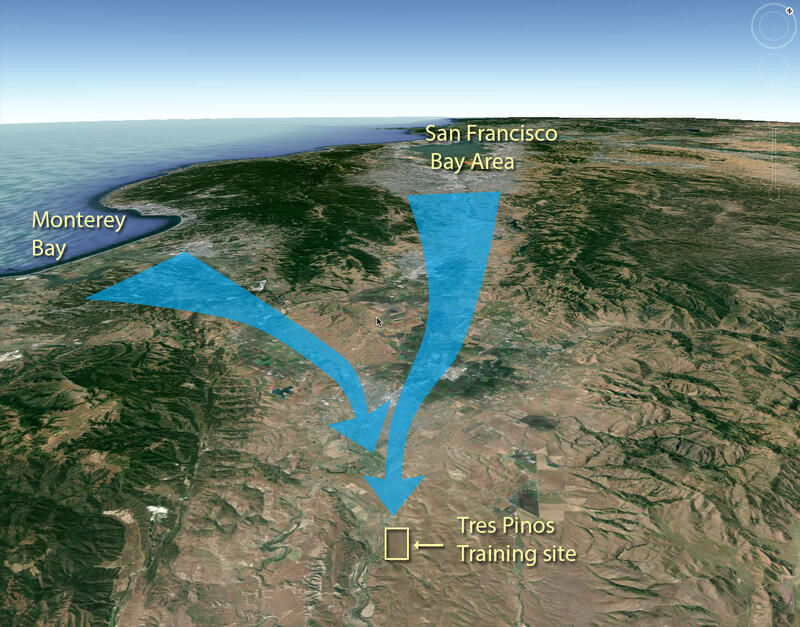 Learn to fly on state-of-the-art equipment at our dedicated training site at Tres Pinos (near Hollister, CA), just south of the San Jose / San Francisco Bay Area. We supply all your equipment for your hang gliding lessons. As you become a pilot, we can outfit you with everything you need in our complete Sales & Service Facility in Milpitas, CA. We have been serving the Northern California hang gliding community since 1973. We are ready to help you become a pilot today! Learn about what's happening at Tres Pinos, the Shop, and much more, including trips, clinics, photos, and videos. Find out what other students are saying. 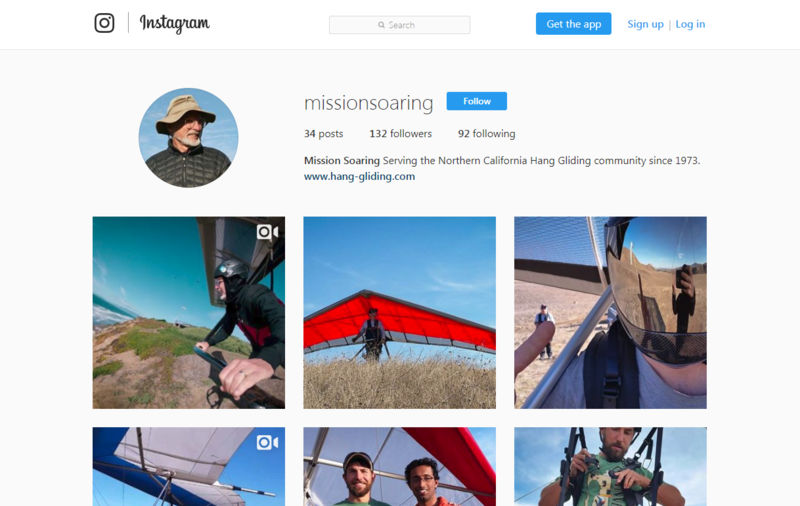 See the latest photos and videos of our hang gliding community and share yours with us. Pat Denevan and his instructors at Mission Soaring Center have been teaching hang gliding for more than 40 years. Pat is a leader in the hang gliding community - he has been instrumental in developing the teaching standards for the USHPA. Instruction available 7 days a week (scheduled in advance). Lesson scheduled to take advantage of the best weather conditions. Class size: 3–5 students per instructor. With a combined 200+ years of flying and teaching hang gliding, these Mission Soaring instructors are ready for you to experience hang gliding! You'd be hard-pressed to find a school anywhere with as much hang gliding wisdom and expertise. What makes Tres Pinos such a great training site? The wind is perfect for teaching hang gliding, that’s what! Tres Pinos is situated in a valley where the air is smooth with consistent, light winds that funnel straight up through the valley and curve up and over the gradual sloping training hills. Our training site has a landing area that is a mile long and half a mile wide.